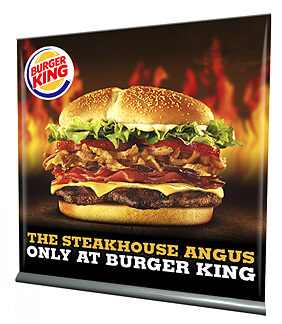 Stand banner are the leading supplier of unique designer banners for exhibiting and shows also many other uses. 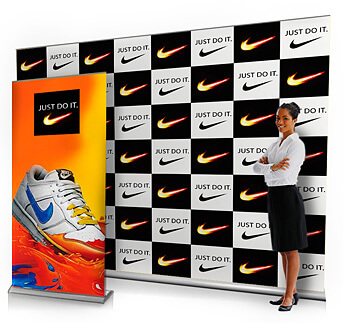 Not only do we offer original banner backdrops but we also offer a whole range of exhibition stands and related equipment designed to market your company product or service. With over 25 years experience in portable marketing displays stand banner is best suited to advise on the right stand for you. We are the UKs number one distributor and manufacturer of Big banner stands for shows and exhibitions including red carpet presentations in London. Our stands are available from 1 metre wide all the way up to 3 metres and even bigger, depending on your requirements and budget. Matrix design and display supply the biggest banner stands in the UK from 2 metre wide banner stands up to 3m tall displays and even custom sizes available. The largest backdrop banners in the UK are available within 24 hours from receipt of artwork at stand banner. 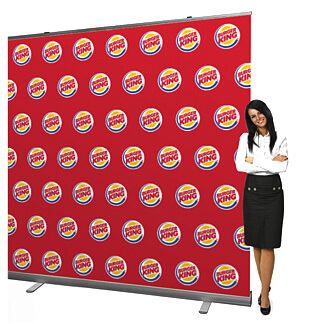 Extra large displays have many uses from red carpet photo presentations to to museum and company exhibition booths all are achievable with our biggest banners we offer. Many of our systems are available in different qualities to suit your budget. Bigger is better when it comes to marketing and many other things, this is why we specialise in in giant and oversized displays that demand more attention than conventional banner stands. With multiple uses and diversifications these stands are a best seller when it comes to being the stand out in a room of exhibitors. Scale matters the bigger your display is the more often than not you will get noticed, unfortunately size does matter no matter what your mother told you and we deliver it in large amounts on our big stands. believe me when I say if you want quality giant displays you are in the best hands in the business. 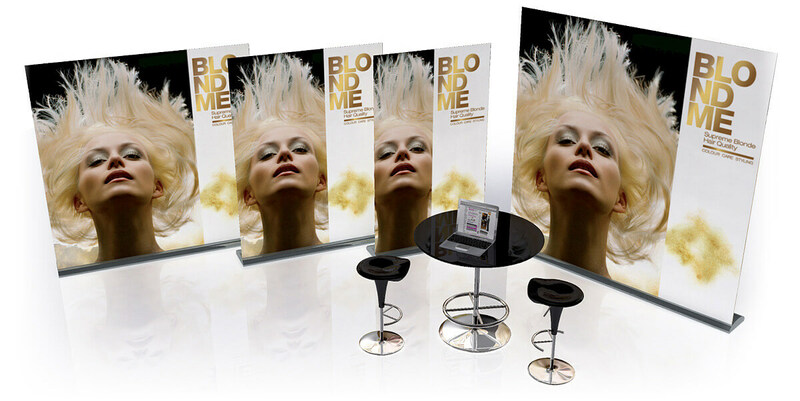 Need a display printed that is bigger than average and demands attention?. We print at astonishingly high resolution specifically for high end exhibitors who are looking to stand out from the crowd and are looking to make they're business big. Stand banner have the facility to print up to 3 metres wide with our large format printers in house, this allows us to be more competitively priced, we also do digital printing in house so we can guarantee your display will be delivered on time ready for that special event. With so many marketing scenarios and relative solutions it is no wonder there are just as many pop up banners to suit every situation, from small to large all our stands are dominant in every aspect over our competitors in terns of size and scale all our exhibition pop ups. Pop up stands UK are the most convenient way to display oversized banners at marketing and exhibition venues and many other situations that require your company to stand out from the crowd and make a big statement. Based in London the UK capital and the most competitive place to grow your business it pays to stand out from the crowd and make a big statement when it comes to large format exhibiting at trade shows and conferences.